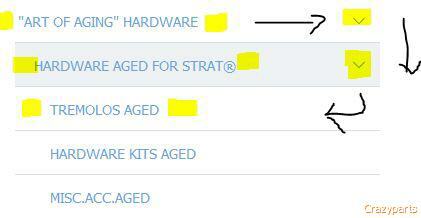 ...we have the parts for your Dream Bridge! One of the finest selections of Tele Bridges. 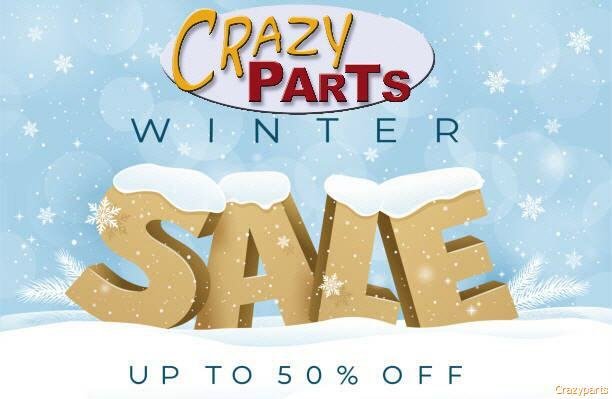 Half, Full, Staggered, Shortwall, Bigsbystyle Telebridges, Saddles, Stringferrules...Checkout now! 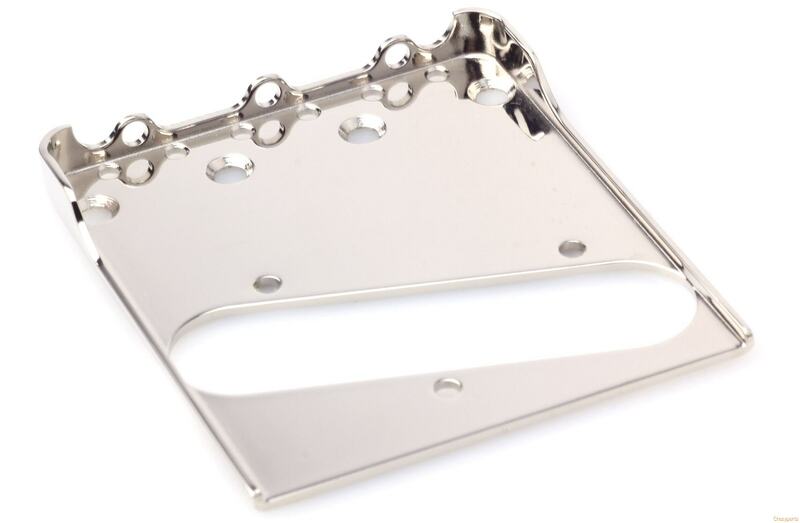 Tele Bridge made of Cold Rolled steel 0.48 and 0.60'' Thickness incl. Stainless Steel Bridges. 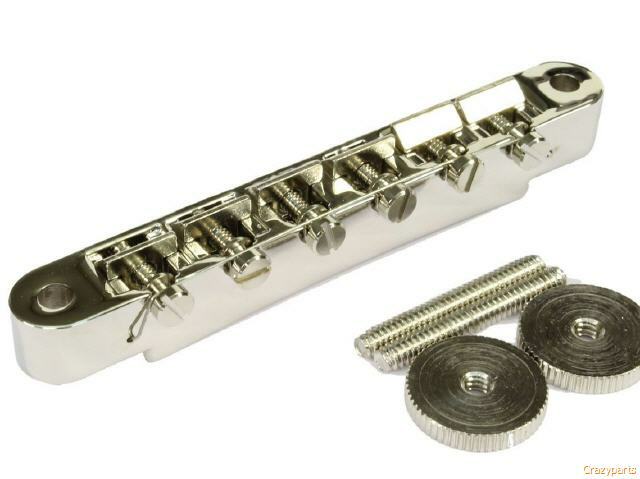 Lot of Bridges Dual /Top & Bottom String Loading available! 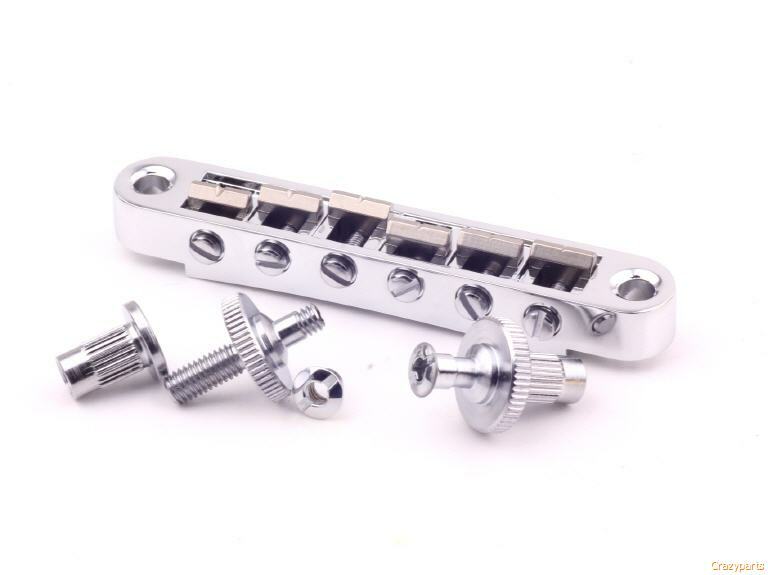 Bridges, Tailpieces, Thumbwheels, Posts, Conversion Posts and many many more.... We guaranteed have the Bridge or Tailpiece you need, in all Priceranges... starting Standard cast Zink and Alu ones to Precision CNC machined, Aluminum, Brass or Alu. A huge selection incl. 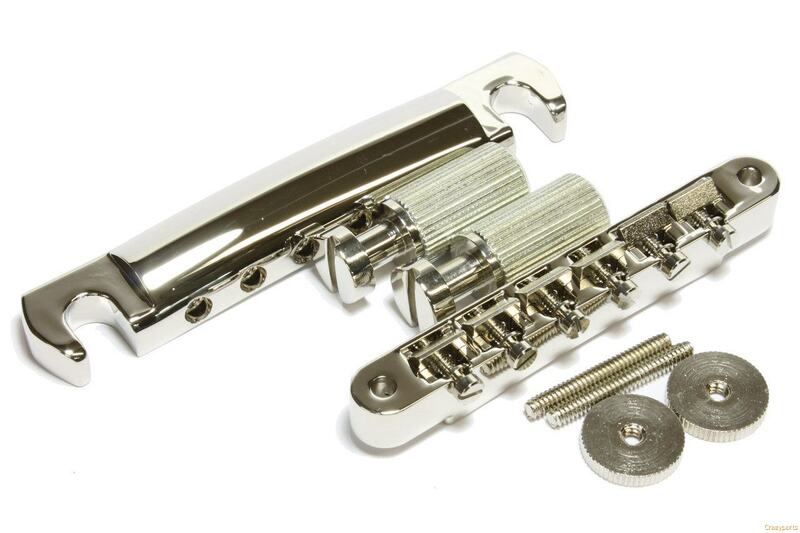 Nylon saddles for ABR-1 Bridge or Domed Thumbwheels for Bigsby or Maestro Vibrola use....All Bridges and Replacement Parts are made in USA. 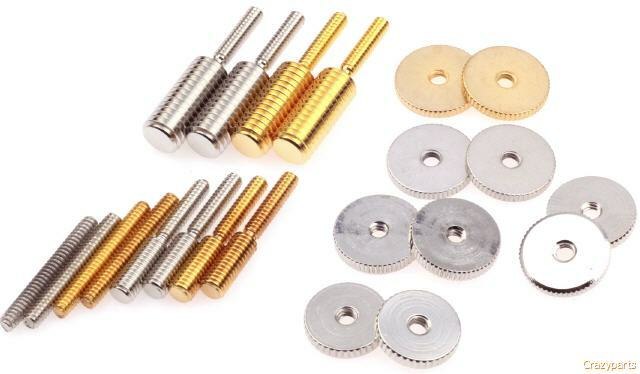 The largest selection of Conversion Posts and Thumbwheels...if you wanna install an ABR-1 Bridge on your Standard LP we offer a wide range of Coversion Posts for USA Made Guitars (Inch thread) and Asian Made Guitar with Metric thread, incl. different types of Thumbwheels in different materials (Brass and Steel) and different thickness which have lot of effect to the tone- Different Materials sounds different -... We also offer Domed Thumbwheel which are perfect when you have Maestro or Bigsby Vibrola installed on our Guitar. Here is a selection of Replacement saddles for your Tele Bridge... Tonemission “to make the guitar sound at its best”. To get the best our of your Telecaster’s real potential a simple way to make it sound even better. BRASS: Sound....an overall very nice balanced tone of highs mids and lows. The alltime favorite material since the early 50's along with the best possible octavetuning you can get today! ALUMINU: Sound...adds overall more highs without losing mids or lows. Great for Alderbodies or if you want more TWANG! 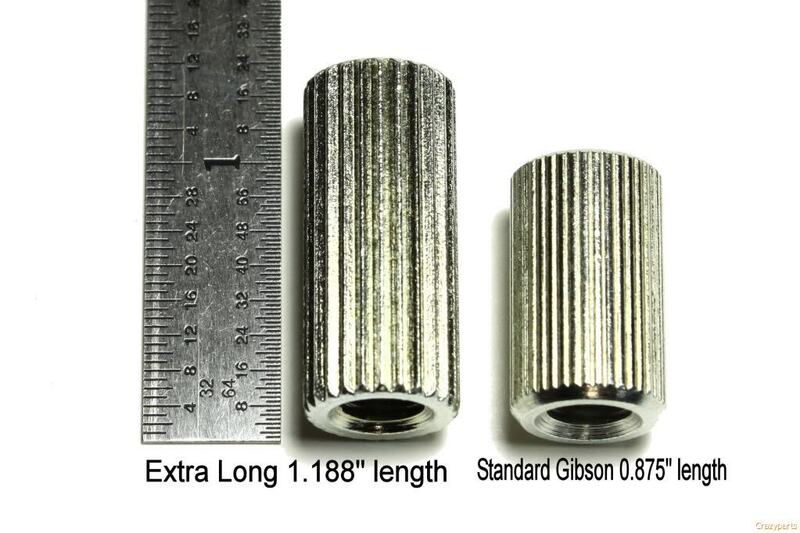 STEEL: Sound...Cold rolled steel adds a very acoustical value to the guitars tone, with more highs than brass but less highs than aluminum. 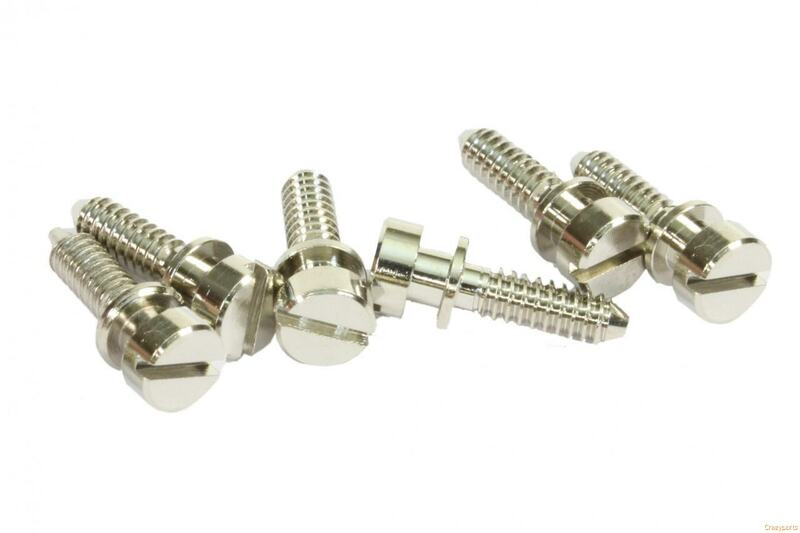 Studs and Anchors für Builders, for Restoration, New Construction or Repair...Modern Aluminum or Vintage Steel Anchors, Inch and Metroc Studs, Standard and Vintage Lenght...Studs in Aluminum, Brass or Steel....incl. Locking Studs for Modern Guitars.